A team of six runners head to Saturday race meetings at Eagle Farm and the Gold Coast tomorrow, headlined by the return of Grafton Cup winner FIRST CRUSH. FIRST CRUSH and stablemate SNOOPY both line-up in the Open Handicap (1200m), with FIRST CRUSH having his first race start since last year's Newcastle Cup while speedster SNOOPY drops 5.5kg in weight on a narrow last-start second at Doomben in Class 6 company. The luckless CONSTANTINE will be hoping for a change of fortune in the Open Handicap (1600m) off the back of several encouraging runs, while HELFUCHI is sweating on a run as an emergency in the Class 3 Plate (1000m). At the Gold Coast, WASHINGTON STREET drops in grade from a Midweek Metropolitan Class 3 to line-up in the Class 2 (1400m), while KOSCIUSZKO EXPRESS contests the Fillies and Mares Class 1 Hcp (1200m) off the back of some consistent performances recently. TRAINER COMMENTS: "Hopeful she will get a run in the race. She is in good form, I've very happy with her and she is going to carry minimal weight with the 2kg claim from Michael Murphy. It's the hardest race she's been in but if she does happen to get a run, I'd expect her to race very competitively." TRAINER COMMENTS: "He finds a nice race and gets a bit of weight relief with the 2kg claim. I've very happy with where he is at and he should be able to get a nice run just in behind the speed." TRAINER COMMENTS: "It's a nice race to kick off his campaign on a nice big track on a good surface. This may be a bit short for him but I'm happy with the way he's coming to hand." TRAINER COMMENTS: "He's been racing with no luck this preparation and has been absolutely flying. He hasn't gone backwards since his great run in Listed company last start and he gets in well at the weights at Open company. If he gets the right run in transit, he's certainly going to be hard to beat." TRAINER COMMENTS: "She's drawn quite nicely in barrier 5. 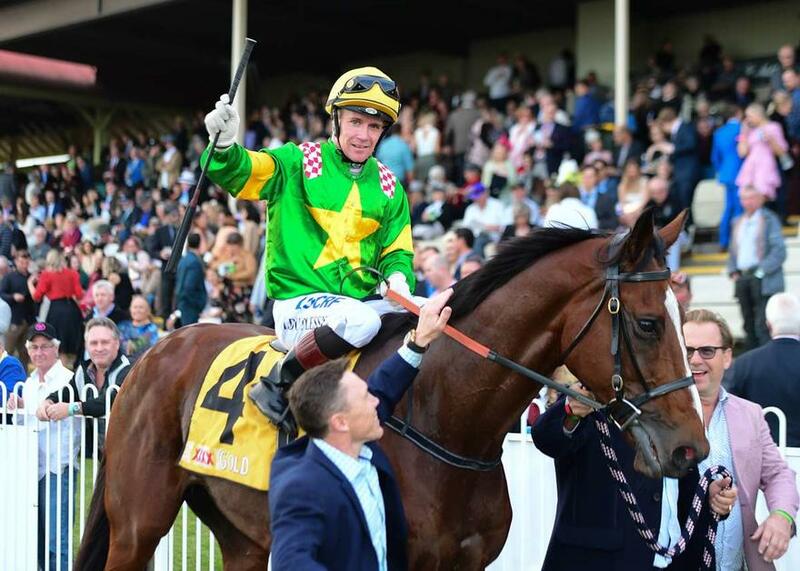 She's in the right grade and is fit and well so hopefully she can run the 1200m out strongly." TRAINER COMMENTS: "The barrier gods have been kind to him and I'd anticipate he'll get a nice run just behind the leaders. I'm very happy with how he's going and he's got the blinkers on tomorrow so I'd expect him to be hard to beat."